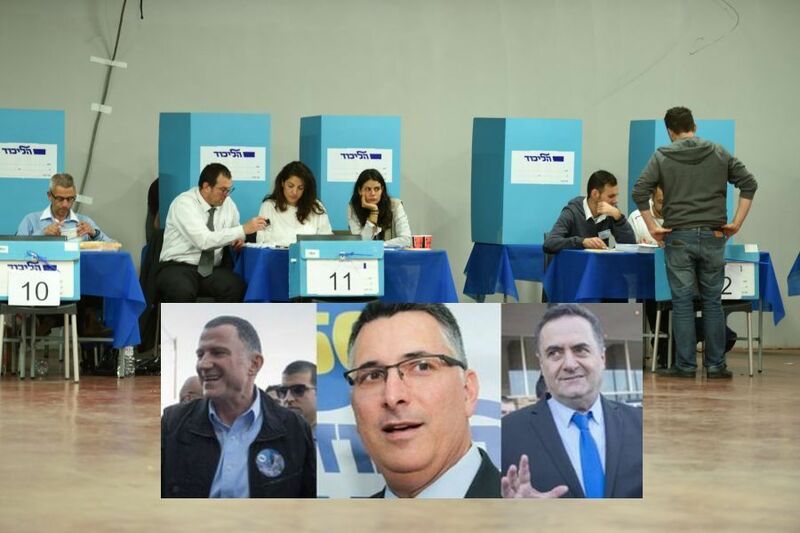 Knesset Speaker Yuli Edelstein and Transport Minister Israel Katz are vying for top spot in the Likud’s Knesset list for the April 9 election, with 75pc of the votes counted from the party’s primary results on Wednesday. Gideon Saar, longtime opponent of Prime Minister Binyamin Netanyahu, is a close third, followed by Public Security Minister Gilead Erdan, Culture Minister Miri Regev, Tourism Minister Yariv Levin, new party member Yoav Galant, Gila Gamliel, former Jerusalem mayor Nir Barkat, in his debut in the national stakes, and Avi Dichter, Chairman of the Foreign Affairs and Security Committee. Some old-time Likud stalwarts have dropped to the second 10 spots, including Ministers Yuval Steinitz, Tzachi Hanegbi, Zeev Elkin, Tzipi Hotoveli abd Ofir Akunis. Final results are expected in the coming hours.